Take a look at your feet. Are you wearing shoes with good arch support? It’s quite possible that those dirty old sneakers (even the wrong type of new shoes) may be exacerbating any foot and heel pain you are experiencing. And in a perfect world, you’d need to stay off your feet to let your “dogs” heal properly. But most of us work and do stuff all day… which is why we’ve got you covered and have rated the best shoes for heel pain. Back to your shoes. When you look at them, do you notice obvious wear paterns on the heels of the outsole? How about the arch supports fitted on the inside of your shoe? Did you even realize it was there? If not, you probably don’t have enough support and your stride is suffering as a result, causing you to over-pronate (or supinate). Its worth noting that if you have sharp morning pains that tend to return in the afternoon, you might just have plantar fasciitis – which you can probably imagine is no fun. Regardless of your condition, you will need to formulate a plan to correct your walking gait and provide the arch support your feet require. No doubt you’ve done your due diligence and scoured the internet for that one golden solution. The good news is that there is likely a solution out there tailored just for you. You just need to find it. And, if you’ve already been to a Podiatrist (or two, or five), they’ve probably already recommended changing your footwear to include good arch supports as an initial measure… or perhaps they’ve even suggested adding the proper insoles to the shoes you already have in order to manage the heel pain. Conservative treatment is always the first step in treating any sort of mallady, especially if you have plantar fasciitis. Finding the best shoes for heel pain is no doubt tops on your list and, according to studies and other heel pain sufferer’s testimonials, should provide you with some initial level of relief. So, why specially designed shoes over what you currently wear? Both types of shoes may offer fantastic support. Shoes with good arch support, however, are designed for your situation and to stabilize improper walking form. 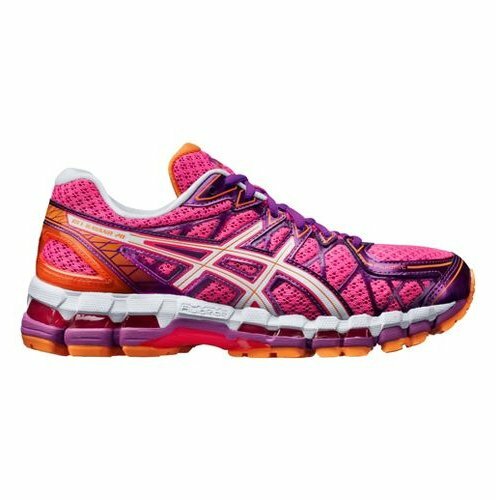 Other shoes offer cushioning, flexibility and styling options, but may not fully support you where you need it the most. Your arches. Of course, that’s not to say that they CAN’T work for you. Especially if you add the appropriate orthotic insert.